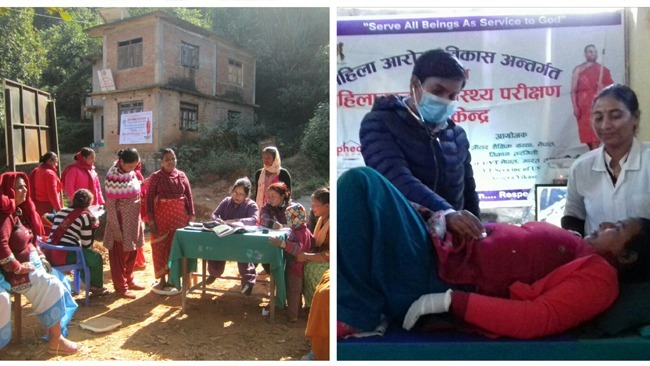 108 Women utilise services from Guddimalkapur volunteers at Jagathgiri Gutta and Gowram Peta. 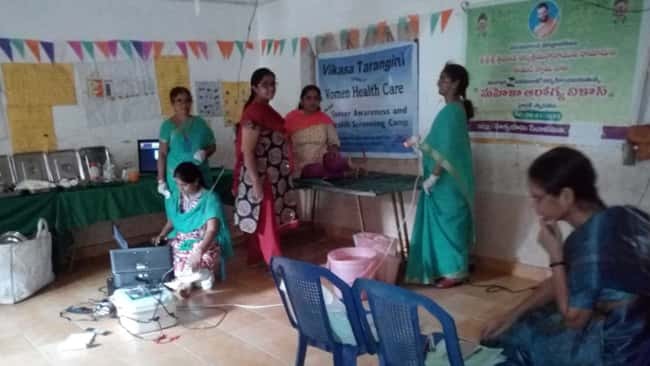 Guddimalkapur VikasaTarangini volunteers organised free women health camps on June 24th, 2018, and July 1st, 2018 at Jagathgiri Gutta and Gowram Peta respectively. 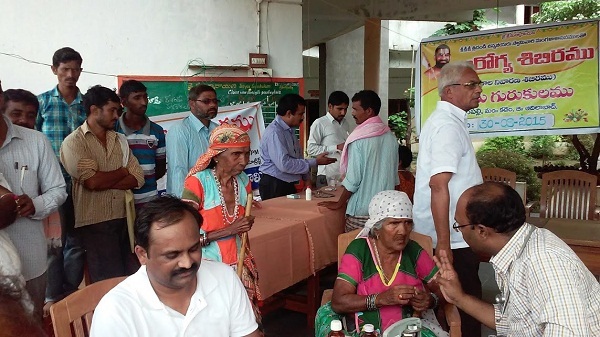 Lions club head, Sriman Nageswara Rao garu arranged for free medicines as required during the camp. Vijaya hospital offered to serve the patients who needed further check-up following V.I.A tests. As Sri Chinna Jeeyar Swamij always says, everyone in the society has their own role to play in maintaining the harmony of it. 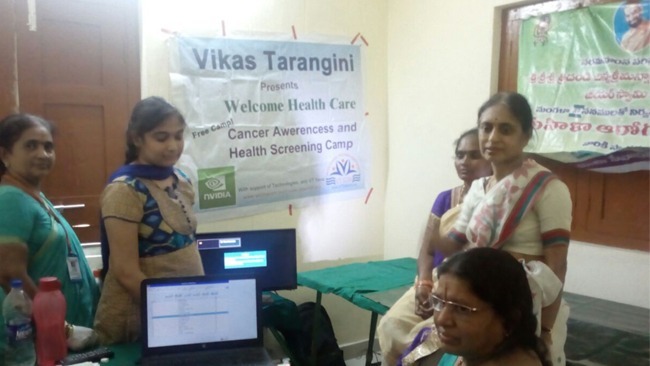 Vikasa Tarangini volunteers nicely teamed up with Lions club and Vijaya hospital to work for common objective, healthy women! 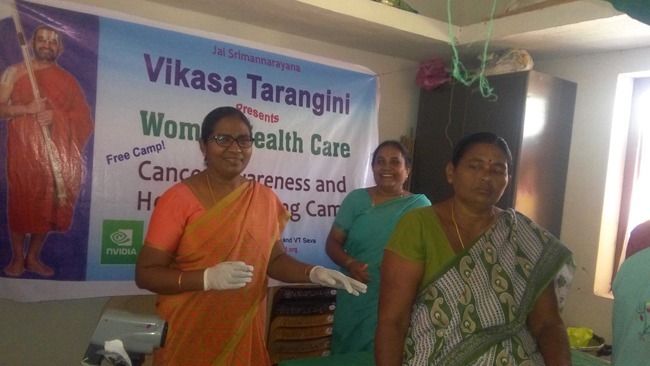 VikasaTarangini Women health camps coordinator, Srimathi Ushakanthi garu along with few young volunteers, Kumari Sri Chandra, Krishna Priya and Himabindu actively supported the cause in these camps.